Do you know that married couples promised a lifetime even if...(insert scenario here)" when they said "I do"? 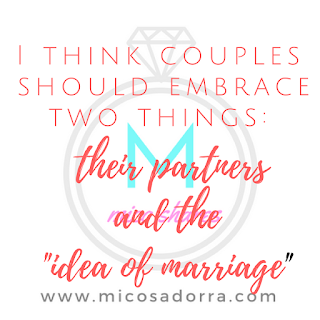 I think that engaged or married couples should embrace two things: their spouses and the "idea of marriage". Marriage a.k.a being forgiving, giving of chancessss, accepting shortcomings, not whining, allowing favors, loving and accepting their "troubled souls", being trusting, doing the first move... In other words, sticking with marriage no matter what... Crazy, right?! Bryan and I have been married for almost 5 years now. Yes, I still love him soooo dearly, but do you know what is sometimes stressing me out? The whole idea and God's standards of marriage. Aaaccckkk!! (1)God said we should not let the sun down on our anger. (2) He also said that I should respect (no whining, no raising of eyebrows and voices, no dabog, no anything that will make him feel disrespected) (3) Plus, He mentioned in the Bible that wives should submit even if we think they are making the worst decision ever. Of course, I would love to be reconciled to Bryan after a silly fight, but, after a day or two or at least when "I am ready". I also know I should submit to his decisions, but, I would also want to prove him I am right, and that I am capable of making the best decisions. Lastly, I know he still loves me when he disappoints me, at the same time, I would love to make him feel he deserves this bad attitude because I felt unloved. But guess what? This is not how marriage should be. If I will do my own thing, surely, I can still say I love Bryan, but do you realize that when we act not minding our partner, we are disregarding "God's idea of marriage" ? If this will happen, it would be like going to an office and only following the rules when we feel like it. Sounds a bad idea, right? 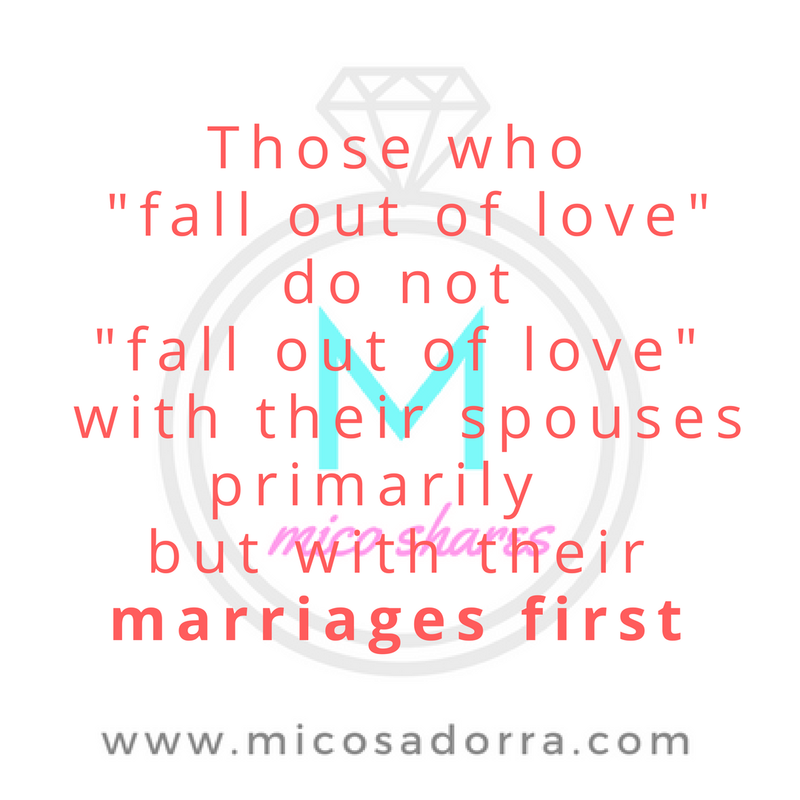 Look at the nitty gritty of marriage! Be sure you know your future spouse and the God's ways on how to make a marriage work. Why? 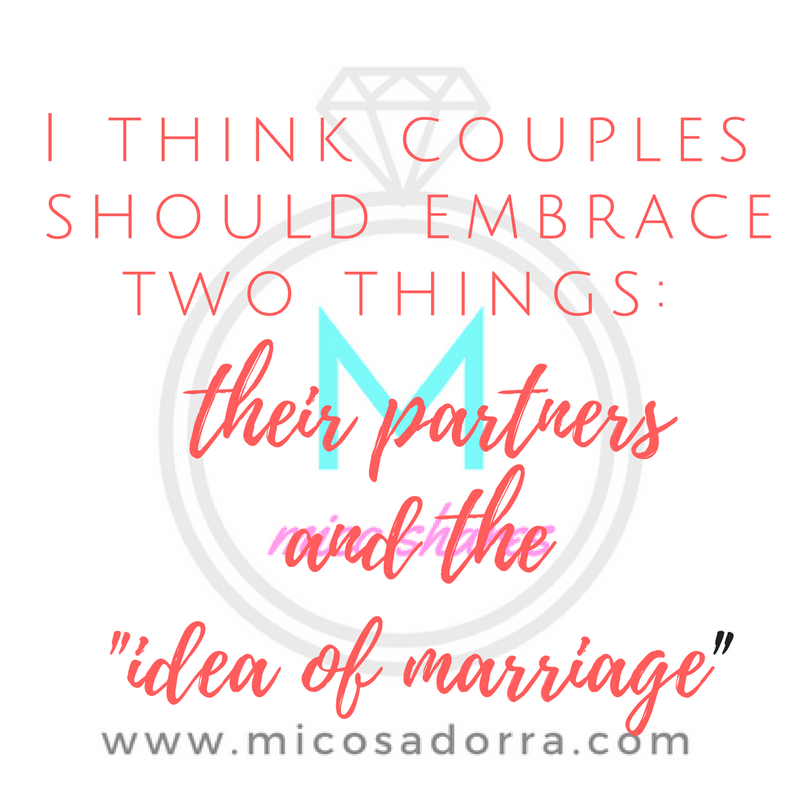 because we could be committed to our partners but not to marriage. To those who have already fallen to the wonderful world of union, always and always choose marriage. 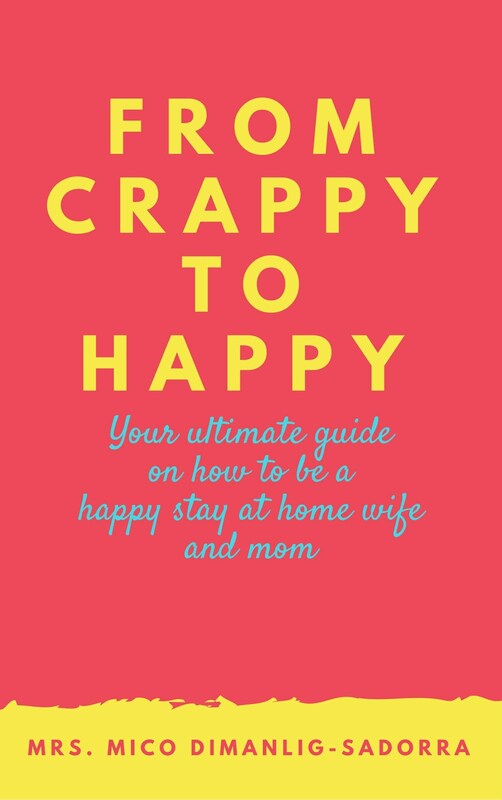 Aside from pleasing your partner, try to discover what is the idea behind a real marriage and constantly work on it. Let us not think that working on marriage is tiring, because when we honor God in our relationships, He makes marriage possible and easy. I can say this because I have experienced it. It would be really impossible to unlove Bryan, however, I must say that the struggle to NOT think about God's standards of marriage is very tempting when you reach five years. 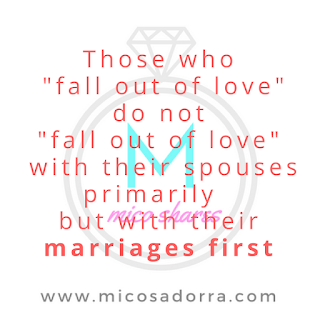 This made me ponder on the idea that those who "fall out of love" do not "fall out of love" with their husbands or wives primarily but with their marriages first, hence the famous phrase "I love you but I just can't be with you" or "Mahal kita pero hindi na ako masaya". Our spouse is one thing, and our marriage is another. Let us not make the mistake of treating them as one. Let us love and respect our husbands and lovingly work on your marriage each day. Again, going back to my illustration, if we want to stay long in companies, impress your boss and follow the office rules. Same with the relationship you are in. Be of your husband AND your marriage. How are we treating God's design of marriage? Are we aligned to it? My encouragement is to stay put on the road that He prepared for us. When we acknowledge that He instituted marriage, it will be easier to obey and trust His idea.